Happy Tuesday guys. Whilst I am having so much fun chillaxing on my week off, I received this in the post and thought I would get it written up and uploaded straight away for you. 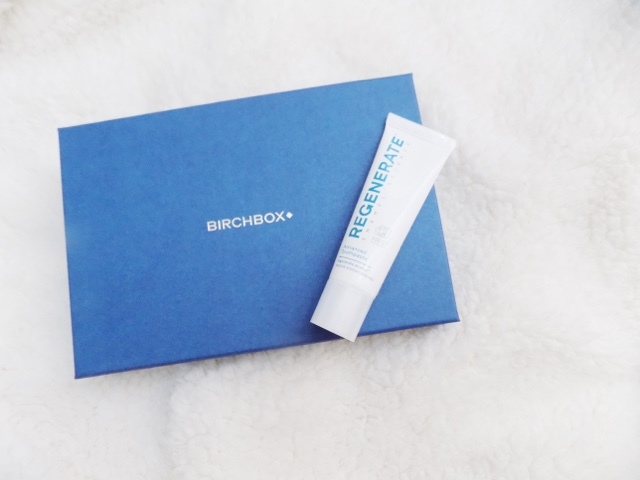 Am I the only one that thought receiving toothpaste was slightly strange for a monthly beauty subscription box. I know it's back to basics themed but really, toothpaste. I don't think I would ever send £10 on a toothpaste but it's another great product for travelling. Bioderma is a cult beauty product, and although I have never been that fussed about trying it, I am going to give this a shot. Plus I like the teeny tiny travel size that could be handy for a weekend trip away or something. This is an upgraded formula which is targeted more towards the oily skin types out there. 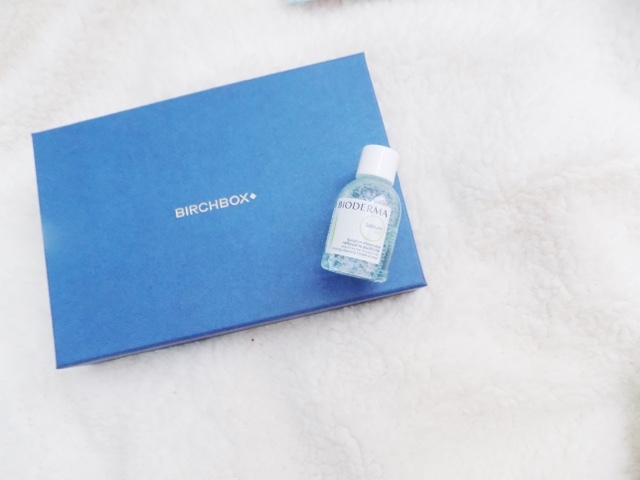 It gently cleanses whilst balancing the skin's oil levels with the added Fluidactiv. We'll see how this goes with my skin as I don't really have super oily skin. 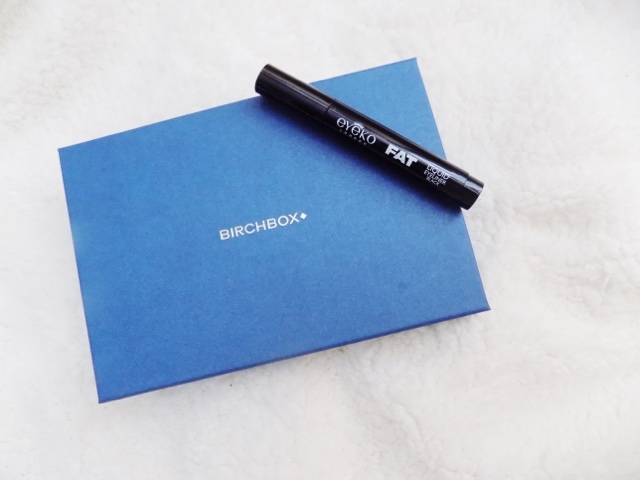 This is a chubby eyeliner pen which they claim is smudge-proof, ultra-black and super-intense. It looks too thick for the kind of look I go for but I will definitely give it a go, may entice me to do something more dramatic and maybe try out some graphic liner looks. Watch this space. I absolutely love this product. It's an amazing fast drying top coat which dries my nails in minutes. I already have a pretty full one so this will be a back up. I highly recommend you checking this out if you want to switch your nail, colour a few times a week, this will allow you to do it and be on your way in 10 minutes. Beaver Professional Hydro Nutritive Moisturising Shampoo £11.50 - Birchbox Exclusive! Mini Shampoos are a great thing to have for travelling and this uses the natural benefits of Avocado oil and Aloe Vera to repair the hair. Which is fine by me as I dye my hair a lot and use heat on it so anything that will help my hair to stay healthy I am all for. 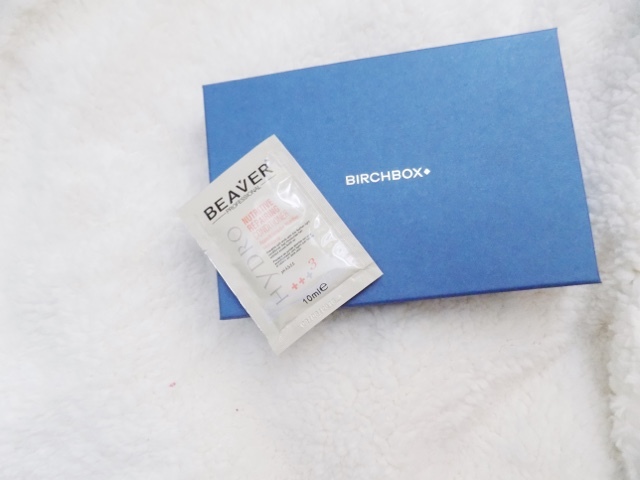 Beaver Professional Hydro Nutritive Moisturizing Conditioner £12 - Birchbox Exclusive! Okay so I'm not a fan of conditioners that are in foil packets but I know that it is an extra in this months box but the amount in this probably wont be enough for my hair as although it's now short, I still have a lot. But this said it will hydrate and strengthen damaged and frazzled hair which, as I said before, is a great thing and I wonder how this will work. I'm 50/50 about this box, can't decide whether I like it or not. I will use the top coat, toothpaste will go in my travel bag, I'm not too fussed about the oily skin friendly Bioderma or the liquid liner and the shampoo and conditioner are just meh. 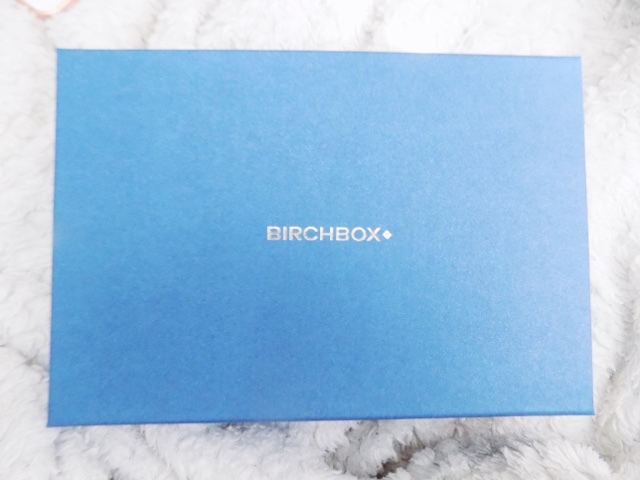 Overall, not an exciting box, but they have been knocking it out of the park the last couple of boxes, I was kind of hoping for a Autumn essentials type box or something like that, but there we go.